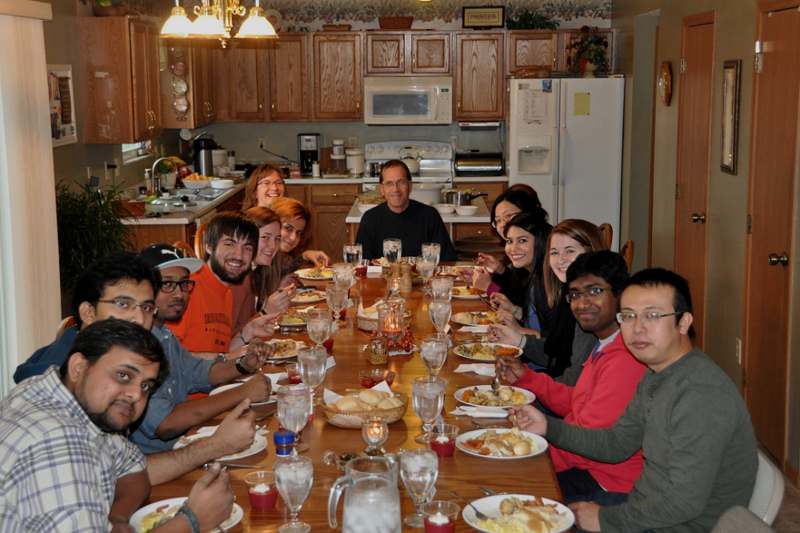 Add some international flavor to your holiday celebration by inviting an international student (or many!) to share your holiday meal! This is a fantastic opportunity to show hospitality to students who may never have been to an American home or interacted with Christians. Talk about the true meaning of the holiday and learn to share your faith cross-culturally in authentic ways as you build relationships of love and trust with the students. Whether or not you are an IFI Volunteer yet, you can go ahead and start the process to host students by signing up! Our temporary housing is an “as needed” list of people who are willing to either host a student in their home for free for a short period of time (a few days to a few weeks) or even rent a room out long term (a few months to a year). With short term housing, you may be needed to provide transportation, wheras for long term, we would either make sure the student has a car or committed to getting transportation another way. You can indicate in the above form if this is also something you’re interested in. It’s wonderful opportunity to model a Christian lifestyle, marriage, & family setting to international students in a communal way.